ID helps Syrians advance their demands for civilian protection, political transition and accountability. More than five years of state-sponsored war has made Syria the most dangerous country in the world to live in. The statistics are devastating: 450,000 Syrians have been killed, half the population has been displaced, and one million people are living under siege. Driving the carnage is the Assad regime’s escalation of indiscriminate violence against civilians since March 2011, when peaceful protestors first took to the streets calling for democratic reforms. Since then, the Assad regime has deliberately targeted heavily populated civilian areas with chemical weapons, barrel bombs, cluster munitions, incendiary weapons, and bunker buster bombs –at times working hand-in-hand with Russian forces, which directly intervened in the Syrian crisis in late 2015. Despite the violent destruction of their country, Syrians refuse to give up their demands for freedom and dignity. ID works to ensure that those who will live with the consequences of the Syrian war and its aftermath are in a position to effectively champion their needs and demands to the international community and to shape the course of Syria’s political transition. Syrian civil society: We work with groups and individuals representing more than 200 Syrian-led civil society groups based inside and outside Syria that champion the advancement of human rights, democracy, and accountability. The Syrian political opposition: For over three years we have been supporting the political opposition through all rounds of the Geneva II and Geneva III peace talks by helping them to keep the talks focused on the transition process and to introduce credible, constructive policy positions. Our goal is to help Syrians secure their demands for civilian protection; increased access to humanitarian aid; justice for victims of war crimes; and a political transition endorsed by the UN Security Council. 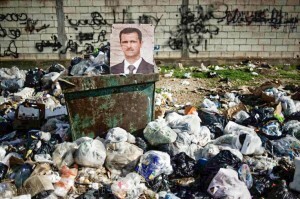 A portrait of Syrian President Bashar al-Assad among the trash in al-Qusayr in 2012. Photo credit: Alessio Romenzi. ID has also worked to amplify the opposition’s voice in key diplomatic capitals, facilitating and supporting international visits by civil society representatives and politicians with leaders and policymakers around the world. Likewise, ID has worked behind the scenes with foreign policymakers toward meeting the Syrian opposition‘s demands for protection, humanitarian aid and justice. 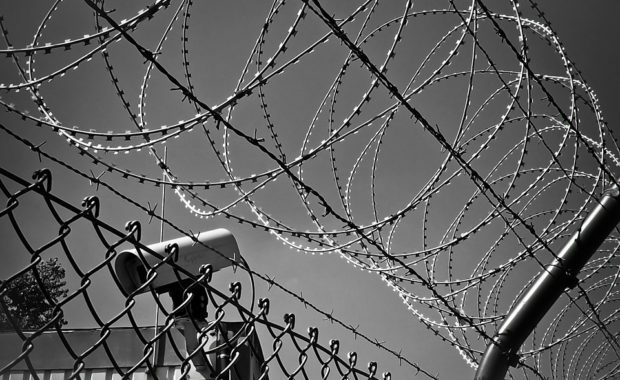 Developed effective measures to ensure civilian protection and deter indiscriminate airstrikes. Sadly, close to six years into the Syrian crisis, much remains to be done to end to the crisis and achieve political transition. 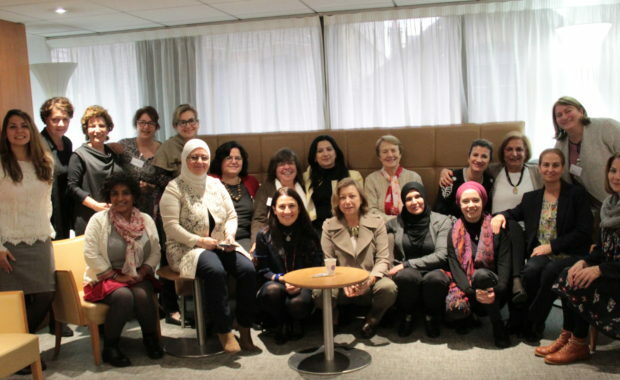 ID continues to work closely with Syrian civil society groups and the Syrian opposition to implement a strategy to secure the necessary support from the international community to meaningfully change the situation on the ground. We are committed to helping Syrians realize their ambitions for a peaceful, free and democratic Syria. 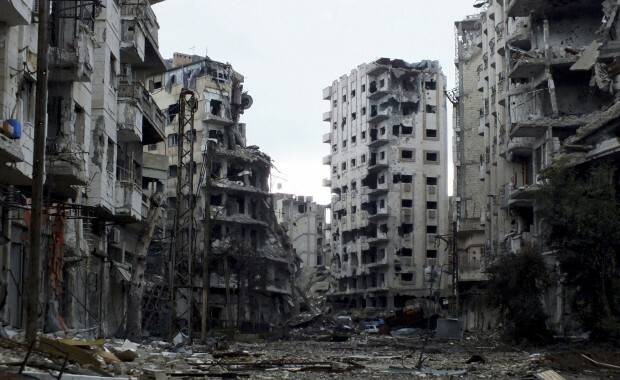 Photo (top of page): Devastation in Homs, Syria. Photo credit: Reuters/Yazen Homsy.